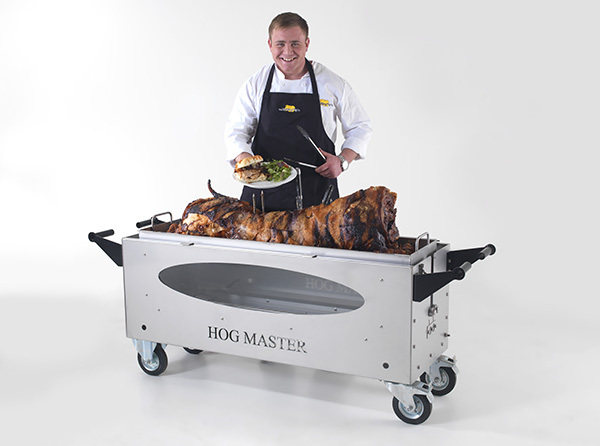 The Hogmaster is a fantastic hog roast machine. Effortlessly produces a perfect pig. Juicy pulled pork and crispy crackling. It doesn’t matter if you are an expert chef or a beginner you can still achieve the same fantastic results by using this machine. 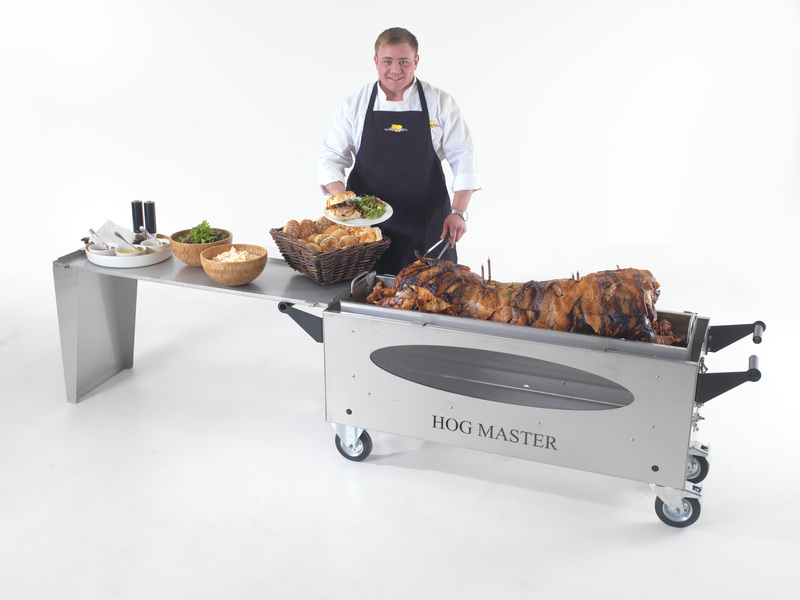 Why take more than you need to site when the Hogmaster has it all? 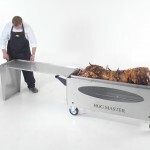 Turn the lid of your hog roast machine into a stainless serving table with our simple, easy to use table support attachment. Never worry about forgetting to pack your serving table again! 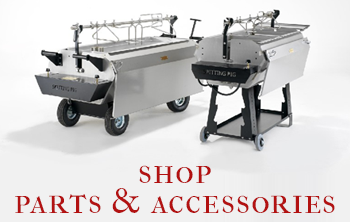 With so many accessories that can be purchased with the Hogmaster, your opportunities are endless! By using the BBQ attachment you are able cook potatoes and extra food whilst the pig is cooking. 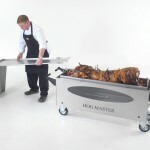 Or simply use your Hogmaster with the BBQ attachment as a traditional BBQ. 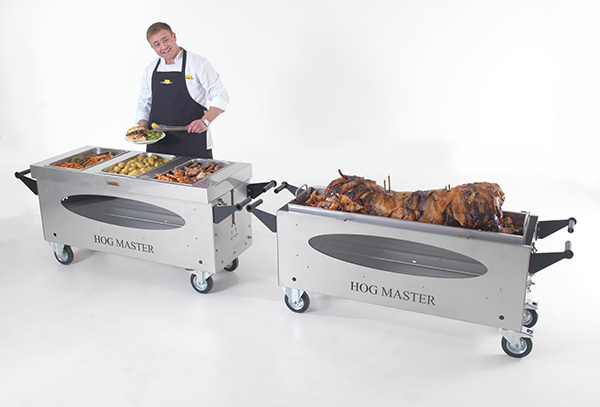 Your Hogmaster also makes a great Spit Roast machine, with the glass viewing panel this gives more theatre for the guests during the cooking process. 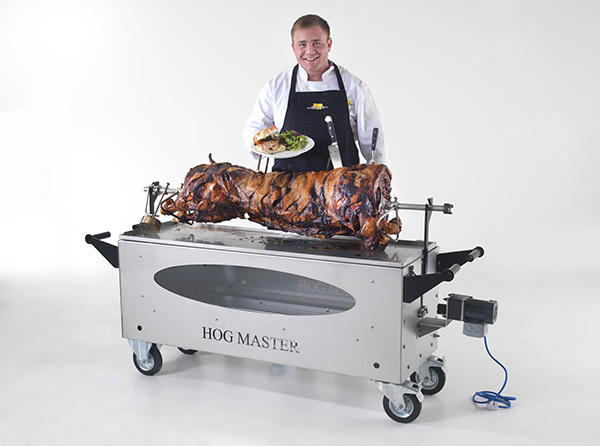 The Hogmaster fully encompases all of the traditional cooking methods and is a fantastic centrepiece to any party! Introducing our new hot serve over for the Hogmaster. 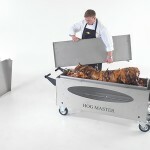 This fits neatly on top of your hog master and will take 3 full size gastronomes, keeping your hot food whilst you serve. 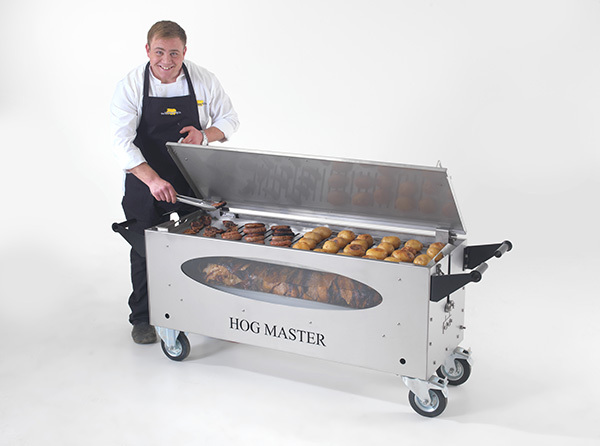 You can also buy our gastronome racks which will each hold 3 gastronomes and fit inside your Hogmaster so you can cook your vegetables, sausages, stews etc.